Google released an awesome app for iOS devices back in May 2016, named as Google Gboard which provides so many features for the smartphone users such as it makes easy typing with gesture and voice but the interesting feature is that the app comes with ‘G button’ which can be enabled in its setting menu, allows a search shortcut button with multi-language support so when you type on the display it shows a search card from the keyboard. Therefore, everyone was wondering that it would come to Android phones? Surprisingly, Google has now provided Google Gboard app for Android smartphone which brought v6.0 update to Google Keyboard. 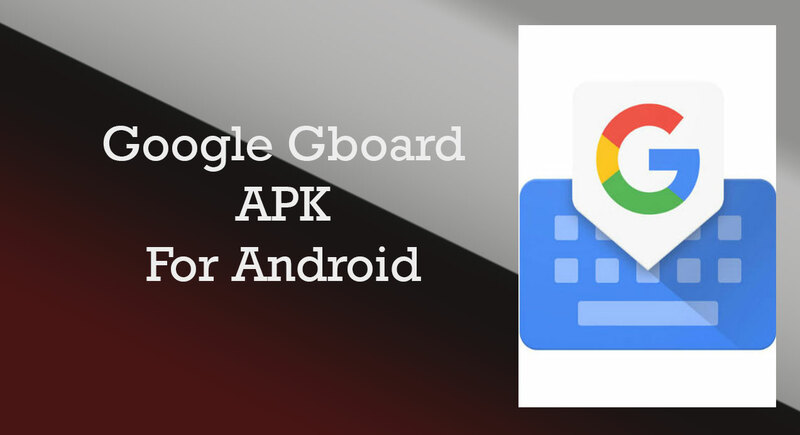 Download the Google Gboard app for your Android phones from the link provided below. The app is also available on Google Play Store but if your Android store doesn’t show new update so we have shared the APK file of this app. The APK file is directly extracted from Play store without any modification so you can download this file without any hesitation. G-button (enabled in its setting menu) provides quick access to search from the keyboard. Pop-out toolbar: allows access to themes, settings, one-handed mode and search. Glide typing: Slide your finger from letter to letter. Completes a word before you’ve finished the gesture, especially useful when gesturing longer words. Touch the microphone to simply dictate your text. Press and hold Enter to choose from hundreds of emoji in any app and you can rearrange emoji panel with group selection at the bottom. GIF button is always shown but disabled in apps without support. You can download the APK file from the link provided above. To get the latest version of Google Gboard app, stay tuned with us.